We’ve finished our first real-time networking story! Users’ mouse pointers are tracked in real time across every connected browser. Now it’s time to take the next step: networking users’ drawing as well. 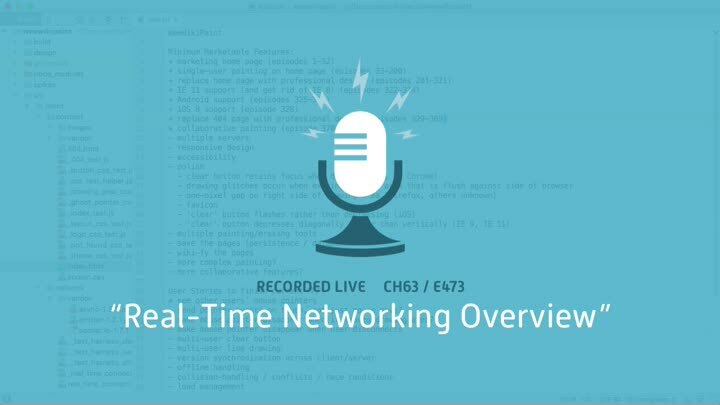 We start by reviewing how our real-time networking code works from end to end. If you’re new to the series, this is a great place to start.